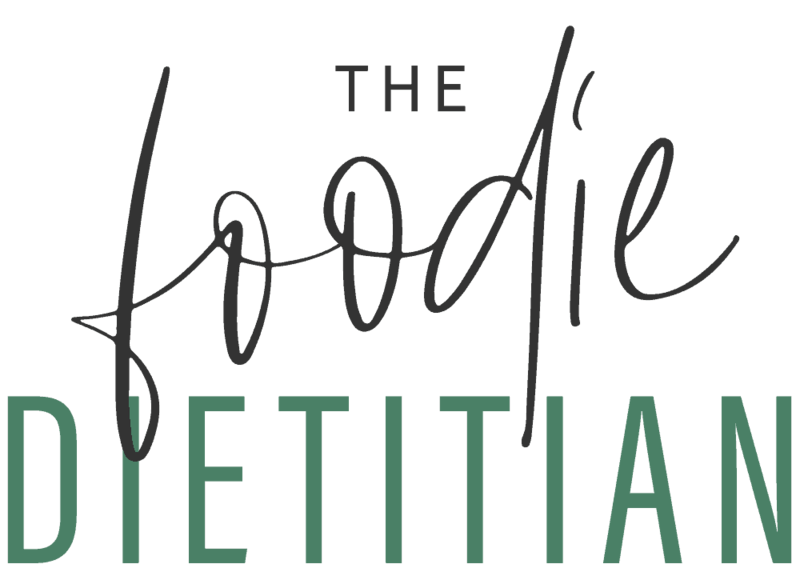 Hey there – today we’ve got my dietitian friend Holley Grainger on the blog. I met Holley at the California Almond tour last year and we spent a good portion of a bus ride to an almond orchard chatting while peaking through the tiny opening in between our seats (she was sitting in front of me). 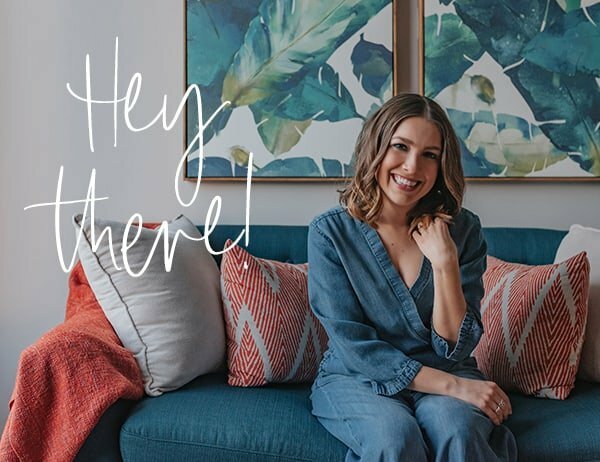 Holley was super sweet and gave me some advice about starting your own business and what it’s like to be an entrepreneur and how to deal with the ebbs and flows that come along with that. 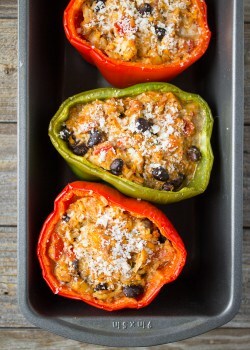 Holley is such a sweetheart and I’m so thrilled to have her on the blog today sharing this tasty recipe with you all. Big thanks to Holley for guest posting today! 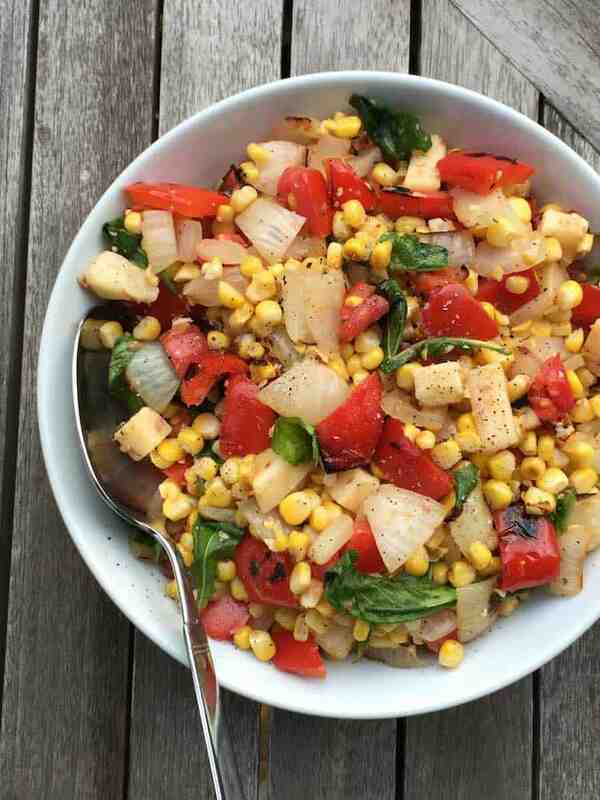 Hi everyone, I’m Holley from Holley Grainger Nutrition and I’m excited to be taking over Kara’s blog today to a share a variation on one of my go-to summer salads, Smoky Corn and Pepper Salad. As an Alabama girl, I use my grill about 10 month out of the year so I’m always looking for new ways to enhance the flavors of seasonal veggies on the grill (be that spring, summer, fall or winter). Now that summer is in full swing, we’ve been grilling quite a bit of corn at our house and either eating it straight off the cob or cutting it off and mixing with fruit, grains, grilled veggies, beans, herbs, and/or cheese to make simple salads, salsas, and sides. 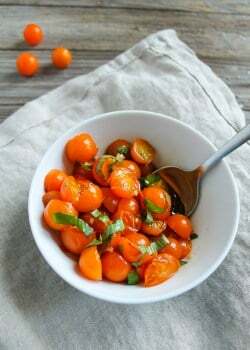 What I love about recipes like the one in this post is that the flavor of the farmers’ market fresh vegetables really shine so you need little to no added salt or dressing to make a healthy, nutrient-rich dish. 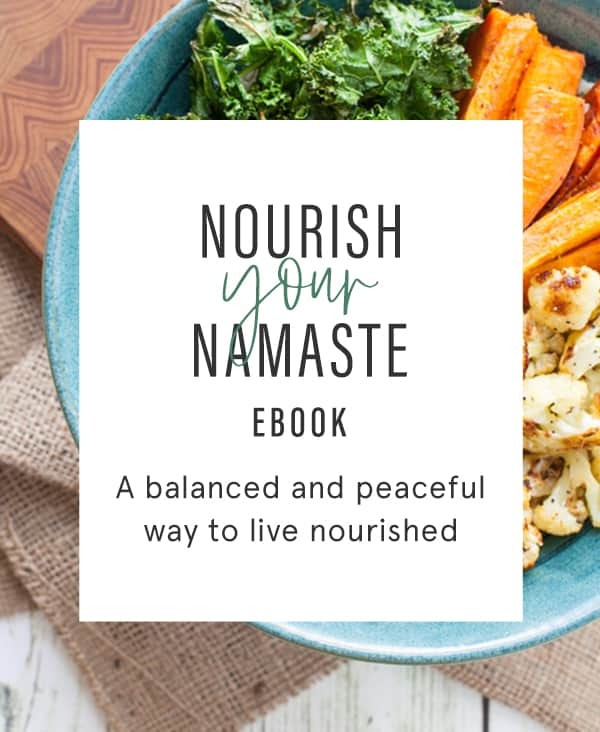 On my blog, I try to give readers “recipe roadmaps” so that they can use what they have on-hand and adapt my suggestion to fit their favorite flavors and diet needs. 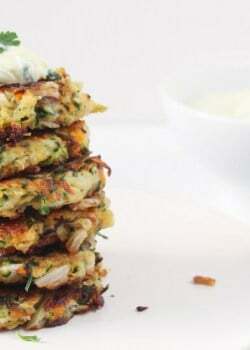 I like to call these my “recipes you know by heart” because if you get the gist of the recipe, then you can easily and confidently make it your own. 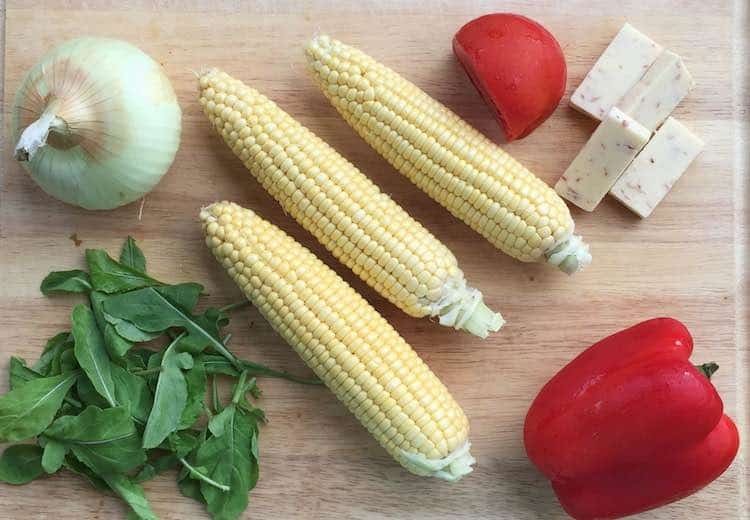 In this recipe, I combine summer sweet corn (that my daughter helped me shuck), with red bell pepper strips, and rings of Vidalia onion on the grill until they are softened. This takes about 8 to 10 minutes. I then cut the corn from the cob, chopped the onion and the bell pepper and tossed together with fresh arugula from the farmers’ market, chopped tomato, and cheddar. I like to let the grilled vegetables cool slightly before combining all of the ingredients and adding a pinch of salt and some pepper. The heat from the grilled veggies softens the cheese and wilts the arugula. This dish is ideal warm on it’s own as a side to beef, grilled tofu or pork tenderloin, with pulled chicken stirred in as a lunch option, or served cold as a salsa or light lunch. I hope you enjoy! If you have other favorite grilled vegetable salads, I would love for you to share them in the comments section below or hop on over to my Facebook page to tell me about them. Brush corn, onion, and bell pepper lightly with olive oil. Grill over medium-high heat 10 minutes, turning after 5 minutes, or until vegetables are soft. 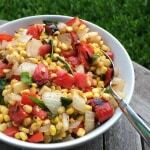 Allow grilled vegetables to cool then cut corn kernels off the cob and roughly chop onion and bell pepper. Toss ingredients together in a large bowl. Toss in arugula, tomato, and cheddar cheese. Season with salt and pepper, if desired. You can easily substitute smoky cheddar cheese for your favorite sharp cheddar, goat cheese, or feta cheese. Smokey and Corn….that is summer right there! Haha pretty much! All you need! Looks delicious, healthy, refreshing, and seasonal. I don’t have a grill in NYC, but I feel like I could mimic this with a sautee pan. I’m sure you could! I’ve pan roasted corn before and it tastes great! Seriously. Grilled corn is the bomb dot com. This looks amazing!!!! Love the combination of grilled corn and smokey cheddar cheese! It does! I can’t wait to take this to my next BBQ party!